Rent-a-Plugin has announced its upcoming subscription service that lets you rent audio plugins. Today, every laptop has the possibility to serve as a recording studio, giving millions of artists around the world the opportunity to record their music. There are thousands of different plugins on the market ranging in price from $10 up to $2,500. An average music creator may use over 10 plugins in his creative process. Thus, many music creators download pirate plugins. Plugin piracy is so common that even millionaire DJ’s are caught using hacked plugins. Rent-a-Plugin© is a unique platform for renting plugins. The platform is offered as a service for manufacturers and allows musicians to rent their favorite plugins on subscription based plans. The platform employs a no-risk, no-credit-card free monthly usage of 10 hours per month. 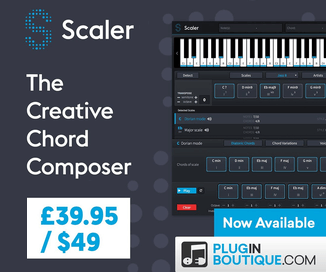 The Artists – Save money and time, and expand the number of plugins available for use. The Plugins Manufacturers – Obtain more information on the usage habits of music creators, reach a wider customer base and create returning monthly revenue streams. The piracy is reduced. The low cost, the ease of use and the number of plugins a user will have at the same time will make Rent-a-Plugin the hottest thing in the industry. Sign up at Rent-a-Plugin to get notified when the platform launched.